Photo by Mike138 used under a Creative Commons license. Bella Bathurst, The Wreckers (Houghton Mifflin, 2005). For centuries, inhabitants of Britain’s coasts have supplemented their livelihoods with the goods and material from shipwrecks. The march of technology — lighthouses, steel hulls, GPS — has made the seas safer, but far from safe, and wrecks still come ashore, though fewer coastal communities can rely on a steady flow of them. Bathurst’s book travels around England to the most dangerous locales for shipping: the Goodwin Sands, off Kent; Pentland Firth, off northeast Scotland; the Scilly Isles; the West Coast; the Thames, where man was a bigger threat than nature; Cornwall; and the East Coast. Bathurst also wrote a terrific book about Scottish lighthouses. Google BookSearch gives you a preview, and the author offers this from the introduction. Pedro Caleja has an excerpt too. Kathryn Hughes (The Guardian) says it is, appropriately, a kind of shimmering net of possibility rather than a definitive documentary account. Michele Hewitson (New Zealand Herald) calls it a treasure. Bill Saunders (The Independent) says Bathurst has opened a magic casement on to a lost world on the edge of living memory. Michael Upchurch (Seattle Times) says it’s irresistable. Andro Linklater (The Spectator) cannot recommend it too highly. Philip Marsden (The Times) says is it more than a collection of fine yarns and colourful facts. John Schauble (The Age) calls Bathurst a competent journeyman storyteller. Sara Wheeler (The New York Times) says Bathurst an accomplished stylist. Puke Ariki’s reviewer says the book pares the romance from the business of ship-wrecking to reveal an ugly world of avarice and brutality. Piers Brendon (The Telegraph) says one doesn’t know how much of it to believe. Tim James says it is among the finest writing on Cornwall. 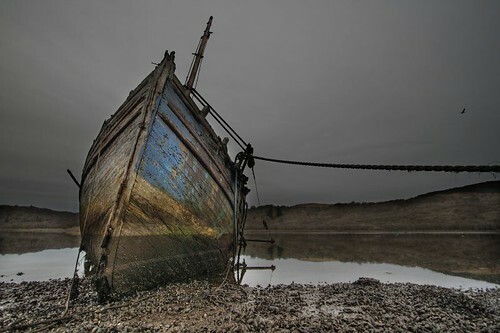 Jay Taber was enthralled by the detailed descriptions of the geologic and maritime factors that contributed to the colossal tonnage of flotsam and jetsam on the shores of Scotland, England, Cornwall, and Wales, not to mention the Orkneys and Hebrides. Peter Ross interviewed Bathurst for the Sunday Herald. You can listen to this interview with her on NPR.